Already holder of all the Federation Aeronautique Internationale (FAI) world records for light electric aircraft, Jean-Luc Soullier of AeroSkyLux has announced his latest endeavor, the Etlantic Project. 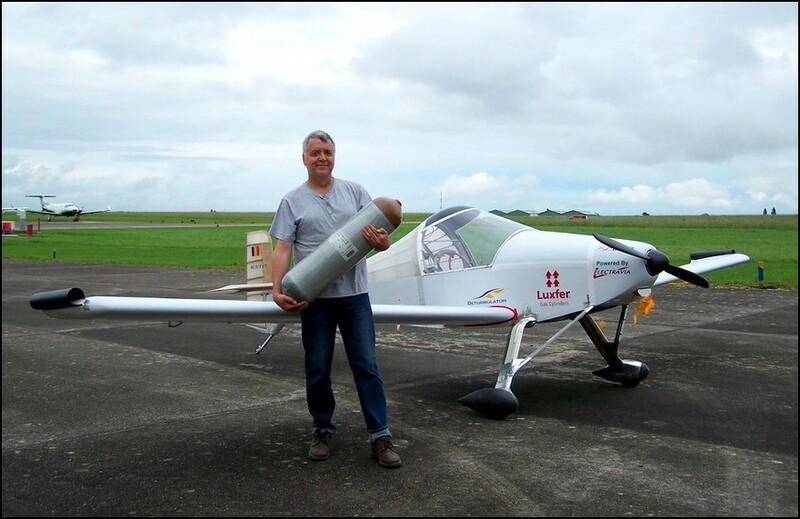 Since he achieved these records in a microlight MC-30 with a Lynch-type Electravia motor, he has searched for a higher-performance airplane and power system. According to the Aeroskylux press release, “The development team and the industrial partners have as a first step finished the full carbon wings.” According to a source at Windward, those wings and the fuselage for the Etlantic airplane will be lighter than the already light 390 pound empty weight 15-meter sailplane, even though the thinner skins are pulled from the same molds as the production Duckhawk. The light weight will allow incorporation of a nose-mounted electric motor, controller, and batteries – as yet unspecified. But Aeroskylux assures us that, “The very high efficiency and the capacity of the power cells will allow for very long flights with complete security.” Since the airplane will probably come in at an all-up weight of around 660-pounds (only a rumor at this point), it might be able to fly in the FAI RAL-1E sub-category, microlights with movable aerodynamic controls and electric power – the same category as that for his MC-30E. Aeroskylux, known for its technological innovation, is preparing for a series of larger challenges. The first challenge, scheduled for 2014, calls upon Jean-Luc Soullier to cross the Atlantic via the north in three hops of about 2,200 kilometers (1,100 nautical miles or 1,265 statute miles) each. The team chose Brussels, Belgium for a starting point due to its central position at the heart of Europe. The modified Duckhawk will finally land in Canada at a destination to be chosen by local partners. In 2015, Jean-Luc plans a non-stop crossing from New York City to Brussels in one non-stop leg of 6,000 km. (3,000 nm or 3,450 sm). This would be unprecedented for such a light aircraft, and will require technology beyond currently-available batteries. We will track the progress of this effort with great interest. Without aerial recharging like that proposed by Chip Yates for his planned Atlantic crossing, Jean-Luc’s approach will be an interesting alternative approach. Speed : minimum 200 Km/h (125 mph) – well within Duckhawk’s never-exceed speed (Vne). 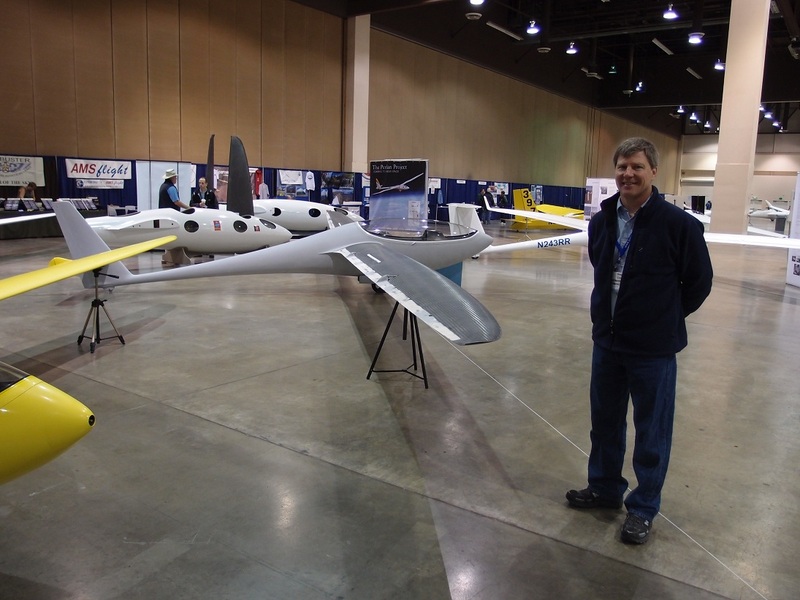 Distance : minimum 2,000 Km (1,250 miles) – Duckhawk regularly flies 300-mile triangles without the benefit of a powerplant. Altitude : minimum 10,000 meters (32,800 feet). A powered version of the Duckhawk should be able to achieve these goals, if the all-important power source can be found. One possible long-term option might be fuel cells, based on the AeroSkyLux web site. Jean-Luc does argue the pros and cons of carrying hydrogen on an airplane in his on-line forum, though. Good news for those hoping for a renewal in light aircraft, Jean-Luc notes, “This new generation of electrically powered ultralight ‘long distance’ airplane will be perfectly suited for the future need of customers, responding to new demands in the leisure activities, control, security, etc. …. “We are eagerly awaiting the results of the maiden flight.” Along with a good many followers.